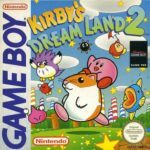 Kirby’s Dream Course (AKA Kirby Bowl -カービィボウル Kābī Bōru in Japan) is a minigolf video game developed jointly by HAL Laboratory and Nintendo EAD and published by Nintendo for the Super Nintendo Entertainment System (SNES) in 1994. Finding it hard to remember this game? You’re certain that you’ve played every Kirby platformer there is, and yet there’s this unfamiliar title for the SNES. Well, this video game is actually a golf game. There are a few titles that don’t play like the usual Kirby game but features the pink protagonist. He even has his own tile-matching adventure, Kirby’s Avalanche. Dream Course is another attempt at maximizing Kirby’s versatility, which probably stems from his ever-changing form. And in a way, Nintendo and HAL Laboratory managed to accomplish their goal. In Kirby’s Dream Course, your goal is to reach the hole that’ll bring to you the next level (or course). As you’d expect, the character serves as the ball. In typical golf-game fashion, you’ll have to consider both direction and force. What really sets this title apart though, is that it doesn’t try to be a serious golfing sim. You’ll still get to fight enemies throughout each course, and it’s only by beating them that you get access to the hole. The cute sounds and effects add to this rather unique experience. Even the transitions between courses that show player ranks are filled with adorable animations and bright-colored backgrounds. Although HAL Laboratory did manage to make golf adorable, there’s no denying that golf isn’t known for its accessibility. Those who aren’t into golfing games find it hard to like the game, even with Kirby’s presence. Some even ask whether there’s any point in putting the pink protagonist in this type of title. 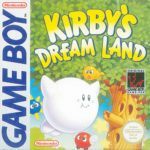 Well, as mentioned, Kirby’s Dream Course is somewhat of an experiment regarding versatility—as well as mass appeal. In fact, the game didn’t really start with Nintendo’s round mascot as its focus. It was simply tweaked to match (and hopefully, showcase) the character’s charm. So, the bottom line is, this title isn’t the most accessible title in the franchise. It’s a game made to test the waters and as a result, its overall appeal is limited by what it really is—a golf game with a twist. 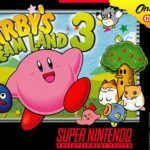 Kirby’s Dream Course game has been ported to the SNES (this version), Nintendo Virtual Console (2007 and 2013) and SNES classic edition (mini).